In past blogs, we’ve really boasted fiber optic cables’ cost-effectiveness, but what really makes this cable so efficient? CableLAN Products has been the cable provider for companies in Boston and beyond for decades. Join us as we divulge fiber optic secrets, their benefits, and what makes them so cost-effective. Fiber optic cables don’t rely on electricity like traditional copper cables. Instead, they’re made up of hair strand thin slivers of glass that use light to transfer data. This leads to lower energy bills for you and faster data. So how does a cable eliminate interference and result in faster speed? The answer is not as mysterious as it may sound! Intricate wire twists and isolation are the keys to faster speeds! Who can we thank for that? How about Alexander Graham Bell! In 1881, Alexander Graham Bell invented what we now know as cable twisting. He realized that by twisting the cables every couple of utility poles, it not only reduced interference, but it also increased the range that information transmitted. A hundred-odd years later and that cable twisting technique led to fiber optic technology. Cable twisting graduated from telephone wires and today it is the foundation to eliminate interference among Ethernet cables, between XT, or internal wires, and AXT. Physically, there are two differences between Cat-5 and Cat-6 cables; the number of twists per centimeter on the wire, and the sheath thickness. At its core, cables are all about innovation! So, fiber optic cables reduce energy bills, improve distance and data quality, what else? Well, we’re happy to say that the cost of fiber optics are also beginning to decrease while the cost of copper is on the rise. Fiber optic cables also eliminate signal loss right from the get-go. “Optical fibre can carry much higher frequency ranges — note that light is a very high frequency signal — while copper wire attenuates or loses signal strength at higher frequencies,” says Associate Professor Robert Malaney from the University of New South Wales, School of Electrical Engineering and Telecommunications. Don’t allow your business to be left in the dust. 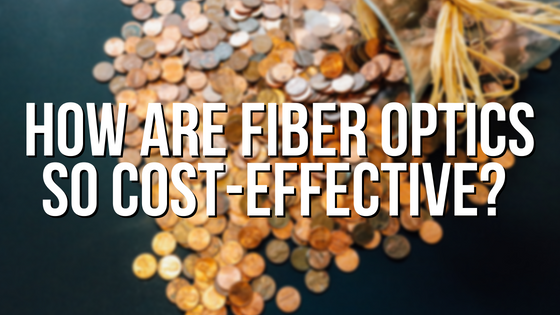 Now that you know the reasons to choose fiber optic cable over their copper alternatives, it’s time to turn your newfound knowledge into action. CableLAN Products is the expert so you don’t have to be. Give us a call at 508-384-7811 to discuss your industry, business location, and together we’ll find a reliable connection that will help your business thrive!